The strong conquer and the weak are conquered. So say the warriors. Magic subverts and power corrupts. So say the philosophers. In the quest to ascend to the leadership of men, what gambit is too risky? The Barodi Empire musters huge armies and trains mages to serve as weapons of war. Their goal is to take possession of the known world and rule. 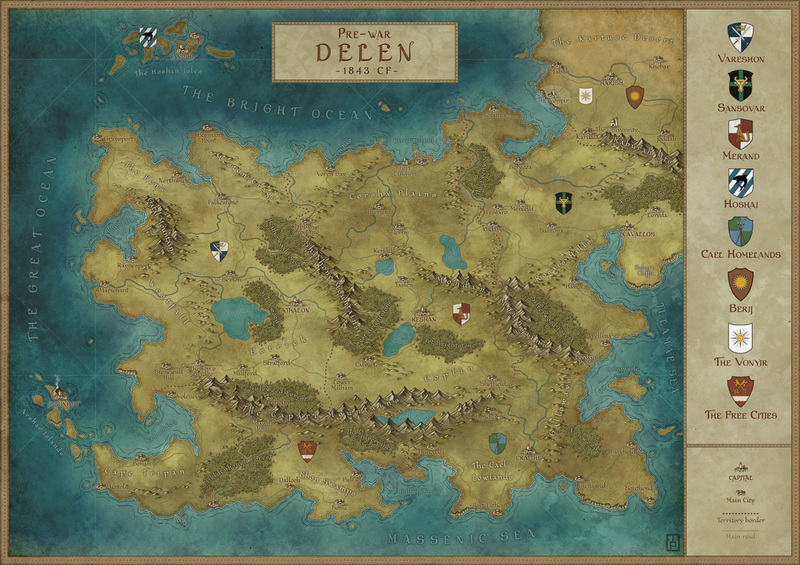 Across the Great Sea, on the peaceful continent of Delen, feudal kingdoms flourish and magic is restricted by The Church of Tarit. An Age of Reason has begun to take shape but the Barodi have taken note of Delen and wish it for their own. Two cultures, two philosophies, clash on the field of battle, in dark alleyways and in noble courts. with all the courage, cunning and perseverance at their disposal. For them, their homes are at stake and no risk is too great.